CMA CGM, the world’s third largest container shipping Group and France’s leading, has the pleasure to announce that passengers cabins are now available on board the CMA CGM MARCO POLO, the world’s largest containership of 16 000 TEUs*. The CMA CGM MARCO POLO includes 5 double modern cabins of 20m2 each, a lounge with TV equipment, a library, a fitness room and even a swimming pool. These original cruises offer travelers the possibility to live a unique and unforgettable experience by discovering oceans, seas and continents to the beat of international trade and involving themselves in the life on board by sharing the crew’s everyday life. 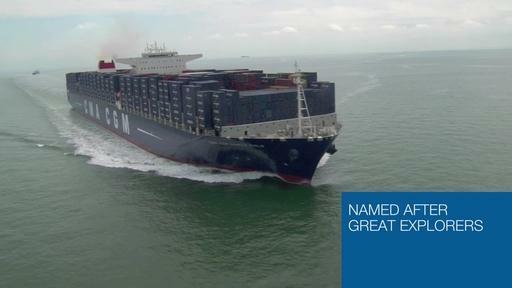 This vessel is deployed on the world largest route linking Asia to Europe and will allow travelers to discover the world’s largest ports on the following rotation: Ningbo, Shanghai, Xiamen, Hong Kong, Chiwan, Yantian, Port Kelang, Tanger, Southampton, Hamburg, Bremerhaven, Rotterdam, Zeebrugge, Le Havre, Malta, Khor Al Fakkan, Jebel Ali, Ningbo. « Cargo cruises » are proposed by the CMA CGM Group since 2000 and allow boarding cargos on the different major global shipping routes (North Europe-Asia / USA-Asia / Round the world via the Panama Canal / the West Indian road / Europe-India).